This app used to inspire me. I loved all of the notifications. They helped me a lot. Then it changed. It’s all ads and no motivation. The only reason I had the app was for the motivating notifications, not to be bombarded by ads. If it ever goes back to the way it was, I would download it again. Sadly, I had to uninstall this app. There’s too many promotional ads on here and not enough Jesus. It used to be my favorite app but it’s changed so much. Gonna check out a different app. This app started off as I expected it would. I would receive daily notifications that were positive and uplifting. However, over time this has changed. I still receive messages but they are different. They are either pushing a product or quite honestly weird. 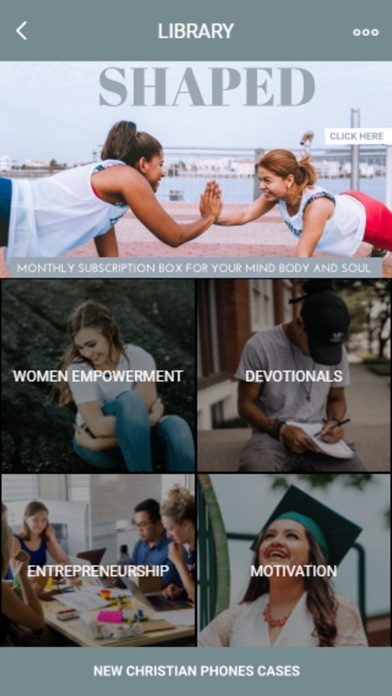 I would not recommend this app for someone who is looking for legitimate Christian encouragement. I loved this app. Everyday I looked forward to receiving motivational messages. But now I feel like every message I receive has some kind of business advertisement. It’s not genuine anymore. I just received a message and it said ‘“Dear God, when I am afraid, I put my trust in you” -Psalm 56:3.. Wear this bible verse on your wrist everyday as a daily reminder’ it was good at first and then after that i was disappointed. I’ve had a terrible experience with little to no help from your Sprinkle of Jesus staff members and overall service. It took about two weeks for to hear back from someone about my order. Let’s just say, Out of a total of 13 emails sent, I received a 3 vague response ( I’m talking....less than 10 worded responses) in over a 48 hr or more window. Long story short, I never received my product and took as out 2 months to actually get in contact with someone. I was ultimately given a refund that took 3-4 weeks to process. Spoke to the manager Alan or Allen in so many words, suggested that my concern was a few of amongst many good reviews which basically meant it doesn't really make a difference. He went on bragging about the 1,000s of vendors that they manager and said I should be upset with the vendor not him. He continues with so much irrelevant information about how much the vendors pay to use their services and blah blah blah that pretty much suggested that my problem was not significant at all to him.What a Horrible experianceee all around. I swear one situation snowballed into another. What a headache! Unfortunately, Seems like the mass majority of staff members do not care about their customers one bit and that’s extremely disappointing being as though this is a “Christian based organization”. Also, i Email the head of the company... Dana who was unresponsive as well. If you have patience for mediocracy and the time the for back and forth then go for it. Initially, the notifications I received were spot on. Many were exactly what I needed to hear. However, in time they became more and more about business, rather than nourishing the Spirit. I realize this is an app, which is designed to earn money. I believe there’s a better way. This is definitely not for me. ***In addition, I actually purchased a necklace January 21, 2019. It’s now March 7, and no necklace in sight. It wasn’t expensive, but it’s very disappointing. It’s disappointing because a notification will display on my screen with part of an inspirational quote/message but when you open the notification it’s just trying to sell you a book, a bracelet, etc. I’d love to get the notifications with the inspirational quote or scripture and be able to actually read it, instead of a bait & switch to sell me something. When I first downloaded the app, it was great. I enjoyed the daily motivational quotes! Now, there’s more ads than quotes being sent out. I went into the app and unsubscribed from all the lists hoping it would stop sending ads. I was wrong, and I still received ads every 2 hours. I deleted the app because of this. These were my favorite. Whenever my phone would ding with a SOJ notification, I was anxious to see the latest. However, this changed when the ads and help for entrepreneurs overtook the notifications. The titles of the sayings also take away from the overall message. I say bring back the old style! I used to really enjoy this app before they started sending at least 4 notifications marketing their bracelets and other stuff they sell. Seems like they’re more interested in selling and making money than sharing the word of God. The app is great to receive motivational quotes and connect with other people but DO NOT SHOP WITH THEM. I place an order on January 22, 2019 and at this time February 10, 2019 I have not received ANY tracking information nor my item. I’ve contacted them multiple times via email, phone calls and left messages, left comment on Instagram posts and Dm directly. Totally unorganized and unprofessional, really don’t understand how they give tips on entrepreneurship when their business is complete CRAP. Zero star!!! 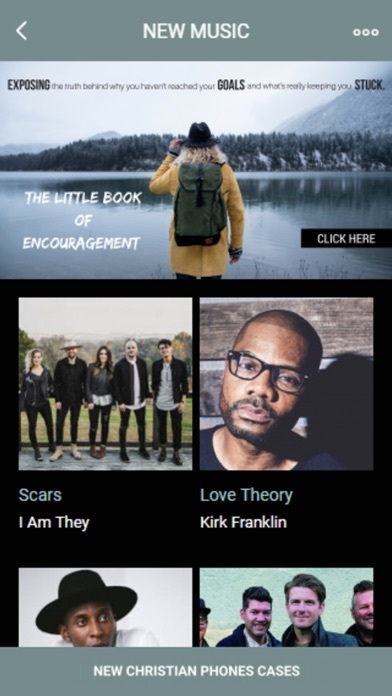 At first I loved the app, it gave me motivational messages and good reminders of who I am in Christ but then it changed and all I got was promotional messages for stuff the app was selling. It got super annoying and then I deleted it. I was getting great daily quotes that weird enough would pertain to me. They would come daily and stop, come daily and stop; over and over again. Now I see repeats of the same quotes. I get notifications for the live shows but can’t join. Waste of time. I love the app and the great messages that it provides but almost every message is baaed for women. I was told about this application about a couple of years, when I started Celebrate Recovery. It was starting out, now I feel that personal opinions are expressed in devotionals sent in alerts or personal problems are expressed. I thought I would try a third time. I now thinking about uninstalling it and never reinstalling it ever again. An app that started off sending relevant motivational notifications throughout the day has spiraled into sending way too many irrelevant notifications (ads, “live talks,” self promotions) at odd hours. Don’t recommend it anymore. I placed an order almost 3 weeks ago from their store and never received anything. No shipping updates, no notifications, no package, nothing except money removed from my bank account!!!! I even sent an email to their customer service and never received anything back. Is this whole app a scam to take money from people and using faith as their cover? How horrible. I want my money back. PS good luck trying to reference their contact page on their website because you can’t click on anything/get any information. Used to like the inspirational scriptures, however for months now all the app does is advertise and it is quit annoying. Would not recommend. I used to like the alerts until I started seeing how they seem to be very carnal and thought. 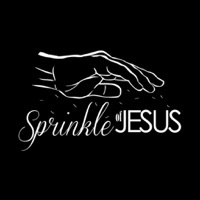 I thought a Sprinkle if Jesus would be without “shady or petty” statements, but that hasn’t been the case. Several misspelled words, several instances where it just seem like someone was trying to get a quick post for the day. Disappointed and have removed it from my phone. I’ve had this app for some time now. I enjoy most of the messages I get from this app. I enjoy that you get several at different times in the day. SOME of the messages don’t seem derived from the Word of God at all. Some have grammatical errors which isn’t a big deal to me but may be to others. My biggest issue is that I can’t get the actual app to open. I’ve been sitting staring at the loading screen for 10 minutes. I’ve refreshed the app. Turned my phone off and on..not sure why this is happening or how to fix it but it’s very frustrating and might cause me to delete the app altogether. There are some really great messages with the app, but all I've been getting lately are ads on how to start a business or something about ordering a pamplet. 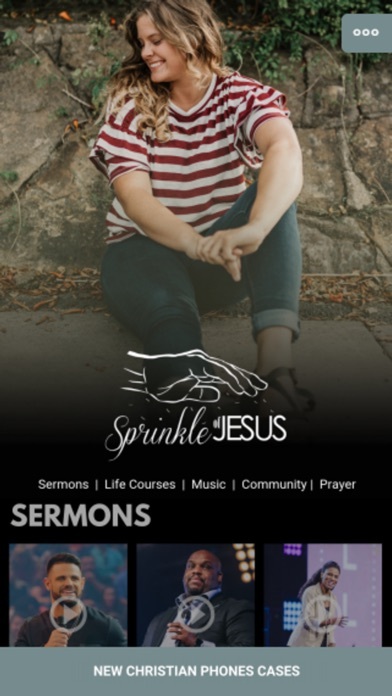 It used to have very few ads but now I barely get sprinkles of Jesus! My advice to you is read a page or two of the Bible everyday or get a motivation app. Much better and ad free. I like the app but I don’t like the notifications I get that say things about calling people ugly and side hoes. This app is funny/encouraging and all but I feel like these quotes isn’t a about the Bible whatsoever. “Looks do matter. If God doesn’t like ugly then why should I?” Hahaha that’s funny but you’re missing the whole point behind it... Atleast change the name !! You’re taking Jesus as a mockery ! The app used to be relevant to the concept & related to certain circumstances, until the messages or notifications started to make a mockery of the Bible. i read all these reviews and couldn’t help but laugh because they say politics shouldn’t have anything to do with their faith, but it sounds to me like a bunch of fake believers because jesus was and is political. trump would have stopped jesus at the border, y’all. i gave this app 3 stars though because it takes way too long to load everything and that alone, as just an app, makes it less worth it to its consumers. the app developers need to maybe keep less things on each page to help with the load times. Great app. Love what they’re trying to do, especially with the motivational quotes and connect groups. However, it looks like they haven’t updated it since 2011. The developers really need to go through and update the app to run smoother and look nicer!! Also, while we’re at it, I would appreciate less “expand your business with us” notifications. The App is a great idea and the “sprinkles” are great. But the app itself needs a lot of improvement. Never downloaded the app, but this company if trying to scam me out of money! Don’t do business with them ever! They are full with greed and tries to take your money without documentation! They also sends mixed messages about what they are doing, that’s why I won’t download the app! They won’t win, but it’s disgusting when someone puts Jesus in their business name and cheat people and are not honest! I used to really love this app. I got it after a breakup and everything it said seemed to be the Lord speaking to me. Then things began to get political - Jesus is still king over our president, even if this app doesn’t view things the way Trump does. I’m not saying I do, but I would appreciate my unbiased app to stay that way. Now it’s the Christmas season, and I’ve seen several notifications for advertisements about their products and a few random “encouraging” messages about being careful not to give everyone your presents and intimacy as a gift on Christmas. Like I tell the preschoolers I teach Bible to, Christmas is NOT about the presents or even gift giving. Christmas is about one thing and because of that one thing, we are able to celebrate everything else. I am disappointed that Sprinkle of Jesus said nothing about our Savior’s birth. Nothing about His birthday, nothing about the Christmas story or even the true meaning of Christmas. There was no holiday encouragement except to keep my gift of - what I read to be - my sexuality. I have been on the fence for a while about this app, and the lack of including Jesus in Christmas messages was the final straw I cannot overlook. I really hope Sprinkle of Jesus re-evaluates it’s mission and how to accomplish that new vision. Maybe Jesus Christ can be at the center of it. Until then, I have another app downloaded called Eternal Sunshine and I am really enjoying its messages so far. I really love the app and usually send the updates to friends and family, BUT there are always grammatical errors! Please address this because it makes it look like these updates are not taken seriously. For example, today's update had "your" when it should have had "you're". Grammar and punctuation go hand in hand. You should be able to unsubscribe from ads completely or disable push notifications of them because it’s become more ads than anything. Hate it. Just a nuisance now rather than enjoyment. The notification settings don’t work and the randomness of the notifications are irrelevant.